Your anesthesiologist may recommend, or give you the option of, spinal anesthesia for your surgery. In this article, you will learn what spinal anesthesia is good for and understand the benefits and risks. A spinal can be done alone, in conjunction with an epidural (commonly used for women in labor; more on this later), in combination with sedation "twilight" anesthesia, or even combined with a general anesthetic. This article will focus on a spinal anesthesia that is being used as the main anesthetic for surgery. The most common surgeries done with spinals are cesarean sections, knee and hip replacement, and perhaps other surgeries on the lower extremities. Definition: Spinal anesthesia uses medication injected into the spinal fluid in the low part of your spinal column. The medication, a local anesthetic, makes the lower half of your body numb, and you will not be able to move your legs. Your consciousness is not affected by spinal anesthesia. Pre-op: When you talk to your anesthesia provider before your surgery about a spinal , be sure to let him or her know if you take any medications, especially those that "thin the blood." Aspirin and ibuprofen are over-the-counter meds of concern. Just as important, but sometimes overlooked, are herbal supplements. Fish oil, garlic, ginseng, vitamin E, and several others cause excess bleeding, especially in combination with certain medications. By themselves, herbals usually won't be a problem, but your anesthesiologist must know if you are using them. Prescription blood-thinners absolutely must be brought to the attention of your anesthesiologist. Many of these take a week or more to be "out of your system." 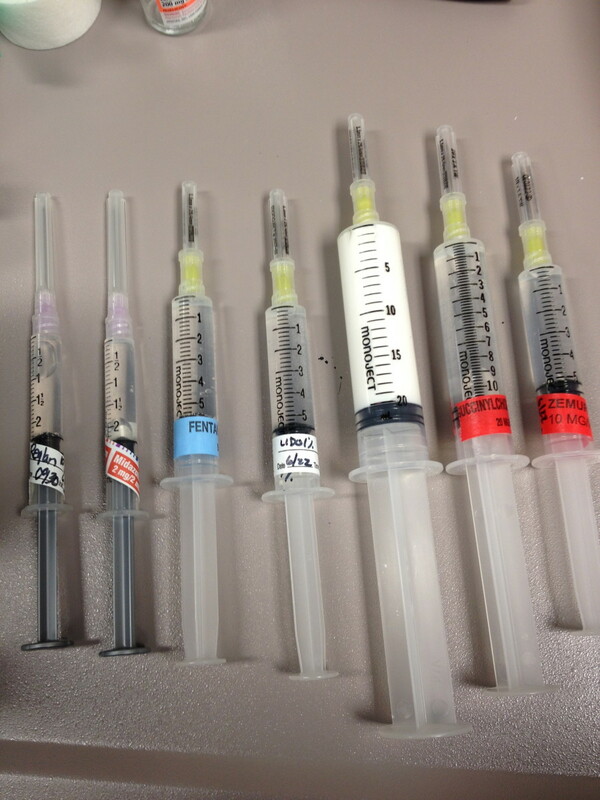 They may want to avoid spinal anesthesia if you take these medications. Also, be sure to tell the doctor if you have pain or other nerve problems (like tingling/numbness) of your back or legs. If you have had surgery on your back, that information will be useful when deciding if a spinal is right for you, also. The anesthesiologist uses a skinny needle to inject numbing medication into the spinal fluid. Spinal Anesthesia Technique: You will probably be lightly sedated before your spinal anesthetic, unless you are having a c-section (no sedation for baby). This means you will be relaxed but will still talk to the anesthesiologist when they ask you questions during the placement of the spinal anesthetic. After applying monitors for your heart rate and blood pressure, you will either sit up or lay curled up on your side. Your position is quite important for the success of the spinal anesthesia technique and success in many cases. Your anesthesiologist cleans the skin with sterilizing soap. A sterile drape covers your back. Then, numbing medicine for the skin is injected with a very small needle. This burns a little at first, but quickly dissipates. The anesthesiologist will tell you they are starting and to hold still. Another special hollow needle is used to find the spinal canal. 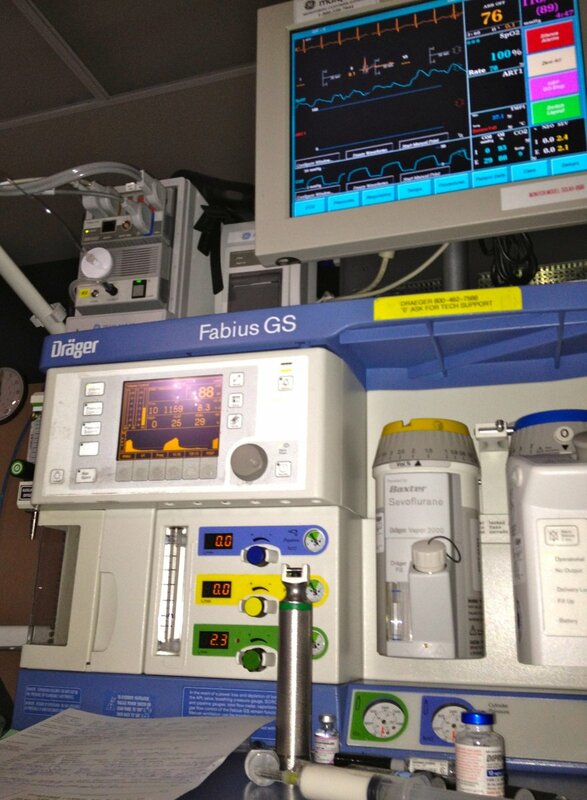 When the anesthesiologist reaches the cerebrospinal fluid (CSF), they inject the numbing medicine slowly. You should not feel any pain, tingling, cramping, or "shocks" during this phase. If you feel these things at any point, tell your doctor. They may need to adjust the needle a little to avoid irritating a nerve root. If you feel this, it doesn't mean anything bad is happening, but your doctor needs to know. How it works: The small amount of numbing medicine injected spreads out in the spinal fluid to bathe the nerves that supply the lower half of the body. They become numb and you may lose the ability to tell where your legs are in relation to your body. You will not be able to move your legs. This effect is normal and will usually last, at least, a couple of hours. Depending on how high the spinal spreads, you may also feel a little bit like you can't take a deep breath. This results from numbing of nerves of the abdomen and lower chest wall. Normally, even though you aren't aware of it, when you take a deep breath, your can feel your abdomen and chest rise and fall with each breath. Some people who are sensitive to loss of this sensation feel anxious when they aren't able to tell their chest is moving. Tell your anesthesiologist if you feel this and he or she should be able to reassure you that they are watching your breathing and oxygen level on the monitors and you really are just fine. 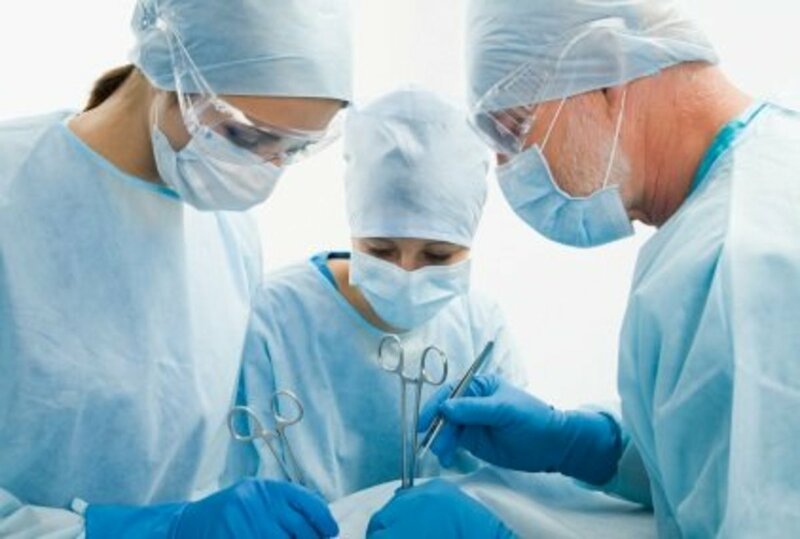 During the surgery: If you are having spinal anesthesia without general anesthesia, you will likely also receive sedation during the surgery, again, except for cesarean sections. Many times, people sleep through their surgeries, although they are not unconscious, and don't remember much afterwards. Please note, though, that this is not general anesthesia. If you do have memories of people talking to you, or about your surgery, it is normal. This is not "anesthesia awareness," or waking up during your surgery abnormally. Spinal anesthesia recovery: After surgery is over, you will go to the recovery room. Your spinal will not wear off right away, and in fact, may last a couple more hours. It will wear off from the top down and provides continued pain relief until it's gone. Image showing how the needle is introduced between the vertebrae for spinal anesthesia or epidural anesthesia. Why would I choose this instead of going to sleep? 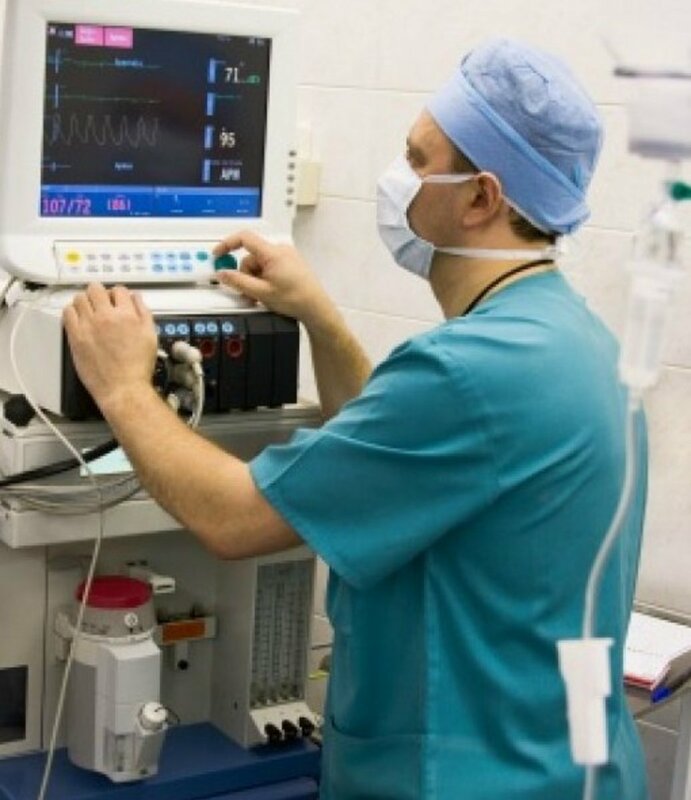 What are the benefits of spinal anesthesia vs. general anesthesia? In many cases, it's personal preference. Some people don't like the idea of losing consciousness. Others have severe nausea and vomiting with general anesthesia. For surgeries like total knee replacement, there is evidence that patients who have spinals for their surgery have less risk of forming blood clots in their legs and less blood loss during and after the surgery. This benefit must be weighed against any potential problems with the spinal, so talk to your anesthesiologist about what is best for you. When the anesthesiologist injects the numbing medicine into the spinal fluid, a pain medication can be injected along with it. This pain medication, usually a narcotic like morphine or dilaudid, helps with pain relief for up to the first 24 hours after surgery, reducing the amount of narcotic you need to have in your IV. Because the spinal narcotic is not circulating in your blood, affecting your whole body, side effects may be reduced, as well. You can still get nauseous and itchy from the narcotic pain medicine, but it's usually not as bad as with the IV meds. What spinal anesthesia side effects can occur? After the spinal fully wears off, there aren't really many spinal side effects. You may have a sore spot on your back where the spinal was done. If you had narcotic pain meds into the spinal space, you can have some nausea. The most common side effects of "intrathecal narcotics," though, is itching. We don't know exactly why this happens, but people itch with narcotic in the spinal fluid, just as they do if these drugs are given intravenously. The itching is especially prominent on the face around the nose. Other people will have all-over body itching. This is mostly just annoying but can be pretty bad for some people so they have trouble resting or sleeping. Your doctor can order some IV Benedryl or other remedy to alleviate this problem. Will I get a spinal headache? Spinal headaches used to be more common with both spinal anesthesia and spinal taps to test for meningitis. The theory behind the spinal headache involves leakage of spinal fluid. The lining that holds the spinal fluid around the spinal cord and nerves is called the "dura." When we do a spinal, we must go through the dura to inject the medication. The needles used to be much bigger and therefore, more leakage of spinal fluid occurred, and thus, more headaches. Now, we use much smaller needles (24, 25 or even 27 gauge for those who know how small that is). Also the needles are actually not sharp, but blunted on the end. An introducer needle—a short, hollow needle—is used to get through the skin and overlying layers. The skinny spinal needle doesn't need to "cut" through anything. 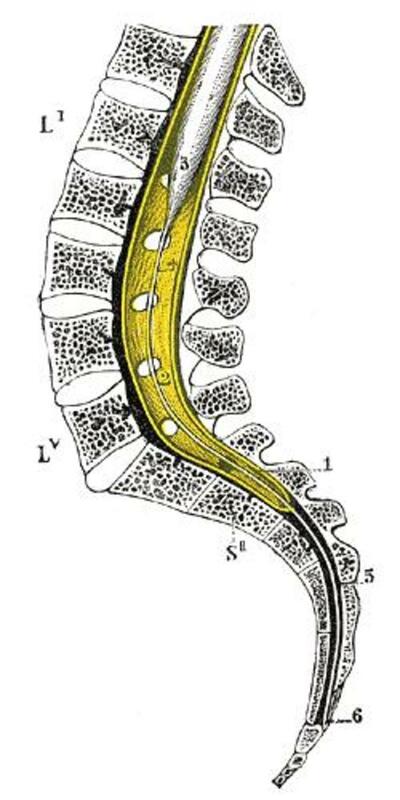 It just passes bluntly through the membrane over the spinal cord, separating the fibers instead of making a hole in them. As a result, little spinal fluid is lost during or after the procedure, and headaches now are very unlikely—way less than 1%. Can I become paralyzed from the spinal? 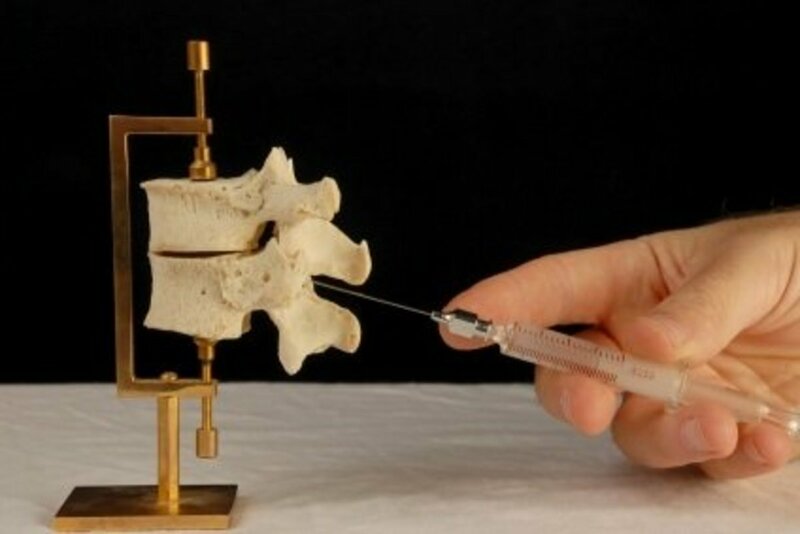 Because the needle we use is tiny, and because there is no spinal cord, just nerve roots, at the level where the medicine is injected, there is almost no risk of damage to the spinal cord itself from the spinal needle. The biggest risk involving spinals and paralysis concerns people who are on blood-thinners like heparin, lovenox, plavix, coumadin, or similar drugs prior to the spinal. In these rare cases, one of the epidural veins outside the spinal space bleeds and can't clot because of the medication. The blood forms a mass called an epidural hematoma. Because the blood can't drain, the hematoma gets bigger and bigger. Eventually, the hematoma pushes on the spinal cord causing damage to the cord. This is exceedingly rare but is an emergency when it happens. Surgeons need to drain the blood from the back within a few hours of symptoms starting in order to have hope of recovering function from the damaged cord and nerves. When this has occurred, the patient has usually complained of back pain, and loss of movement of the legs after the spinal had previously worn off. 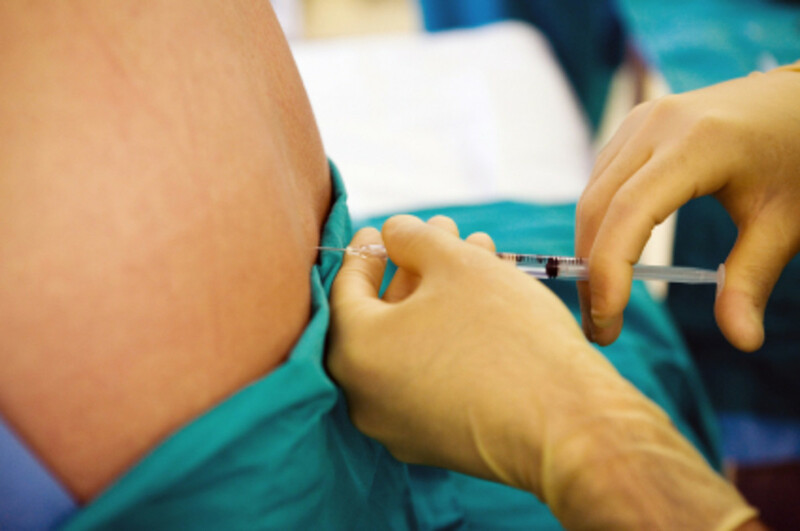 What's the Difference Between Epidural and Spinal Anesthesia? What Are Conscious Sedation, MAC Sedation, and Twilight Sleep? What else would you like to know about spinal anesthesia? I had the spinal anesthesia a few months ago for my C-section, and it really was a smooth procedure. No pain at all when needle entered nor pain during the whole C-section procedure. I was conscious ad relax the whole time due to another medication administered in the IV the whole time. You do feel sensation when they clean you up at the beginning and afterwards you do feel the pulling and light touching, but apart from that, it is very safe and in my case, I was able to enjoy the birthing process of my LO. The spinal wore off gradually a few hours later and still felt no recuperation pain after the effect totally subsided. Can you move your legs when you wake up after surgery? Can the itching persist? A narcotic spinal was used for my surgery 6 months ago and although I had no issues with pain I have had itching and slight rashes travelling all over my body since then. I was wondering if it may have triggered a sensitivity to something as I don't have any real allergies to speak of. I'm 6mpp I recently started waking up with headaches like I did the first months after my c section ..... Not only that but I'm having upper and side abdominal pain, not really pain, discomfort like pressure pulling inward. Can I still be reacting to the epidural as of now? I had total knee replacement 4 weeks ago. About two weeks ago I began to notice my lower leg, especially the back of the leg, developed a very raw feeling, to touch my leg is very painful and I also get a searing burning down the back of the calf. I had a spinal for the surgery, the knee is no problem - therapy is a breeze. The exception to all this is the pain produced by the nerves. I can hardly stand to where large pajama pants because even the slightest touch is like touch my let after pouring boiling water over it? What could be the cause? I had an epidural with my daughter I had been in preterm labor for over 2 months and was almost halfway there, after weeks of having my labor stopped, it was decided that I was far enough to deliver. I was glad to have an epidural and some pain relief, no one really told me anything and honestly in that kind of pain it's kind of pointless anyway, the epidural went great I started feeling like my chest and throat were going numb but once they sat me up I was fine. When I had my son he was early and it should have been easier he was quite small, I again opted for an epidural it didn't work the dr had to come back and do it again. It still didn't work I was crying it was terrible and my back pain was horrific. I couldn't feel my legs at all but I could feel everything in my pelvis and back. I am sensitive to surgical tape I didn't know at the time, they covered me in tape the excuse was my size being 110 pounds (I have a hard time gaining weight due to gi problems) it was hard to find the right spot and needed anchoring. It seems that having a lean back would make positioning easier, all the tape irritated my skin so badly that I looked like a burn victim. Thankfully 3 yrs later the scars are almost completely gone. The male dr doing the epidural just said the vaginal area was hard to get to sit up straight maybe some of the medicine would go were I needed it, it didn't work. The male dr who delivered my son got annoyed when I cried while he was stitching me no shot or anything I would have greatly appreciated it, he simply didn't believe the epidural didn't work. I ended up with a large episiotomy that was just as bad as my much larger daughter for a 5 pound 1 oz baby. The nurses tried desperately to help me and kept mashing the med button but all it did was numb the wrong places and slow down delivery. My catheter was removed and I was told to go urinate I could barely walk my legs were so numb and when I couldn't urinate they had to re insert the catheter after I had just been stitched and I was extremely swollen I have to straight cath now, it is nothing like that experience it was extremely painful. I had very different experiences with epidurals during the birth of my children. They can be great and they can be horrible I would definitely think about the pros and cons and the fact that it could possibly fail, also do not use male drs they will think you're dramatic and have never had to experience the pain. My previous gyn had left the practice, she was a great dr. The male anesthesiologist and gyn obviously were not concerned with the level of pain I was in, I have a heart condition and the extreme pain definitely could have caused my heart rate to skyrocket. An epidural will lessen the strain on your heart, but not if it doesn't work it will just make things worse. I had spinal anaesthetic for a total knee replacement four days ago and had low blood pressure three days later. I am concerned about numbness in the heel and toes of the foot of the operated leg and nerve damage, should this be a concern.Is it a side effect or a complication and is it temporary or permanent? Just had a spinal block yesterday with good results. No pain today. What a relief. Had the typical headache afterward , but all in all little or no side effects. Often, when a spinal is placed there are 2 medicines injected. One is the numbing medicine that lasts an hour to a few hours. This is what makes you unable to feel anything in the distribution of the numbed nerves. The other medicine that is commonly added is a narcotic medicine (morphine, fentanyl, dilauded, etc). The narcotics greatly aid with pain relief for the first day or so after surgery. One of the side effects of narcotic medicine, regardless of where it is injected, is body itching. So, yes, if you had narcotic added to your spinal, you may have body itching as a side effect (a lot of people have it on their nose or face, but some on their abdomen or all over their body). If there is a rash or hives associated with the itching, an allergic reaction should be considered, as well. Can a spinal anesthesia make your body itch? Anytime you receive anesthesia and have surgery, you are advised not to make important decisions. Besides just the anesthesia, the fatigue caused by the stress on your body may cloud your judgement. A spinal doesn't use all of the mind-altering medications that are used in general anesthesia, so your question is a good one. But, spinals sometimes still have narcotic pain medicine added to them that can affect the brain. Plus, you may be receiving other narcotics. Because of these things, it is better to recover first and be off of pain meds before you make any important decisions. Thank you for your question and for reading! Does a spinal anesthetic have any effect on decision making? Should I be making any important decisions immediately following a caesarean while still numb from the anesthetic? Hi there. What has been your experience in giving spinal blocks with patients who have spina bifida? Thank you sky! I'm glad you found useful information here. Spinal anesthetics are very safe and useful, but it is good to be educated about the procedure and its risks, as well. Very informative, thank you so much for relieving my anxiety! My main concern was paralysis, and as you explained this concerned in detail, thank you so much. Thank you C. It's a great job but so very stressful sometimes. I've lost a lot of nights' sleep thinking and worrying about patients and the decisions I've made. But, in the end, the training we receive and the thought we put into our job usually means all will go as well as it can. I really hope that my writing here helps people understand and feel reassured about their anesthesia. Thanks for reading, voting and commenting!! You are very kind. very interesting hub. I was completely scared of being put to sleep by doctors but after reading your article, I have a better trust in anestesiologists. Your intelect gives me confidence that I can go in for a procedure and not worry to much about my care. Voted up, interesting and useful! I certainly think that the anaesthetist is very important during surgery! Thank you! 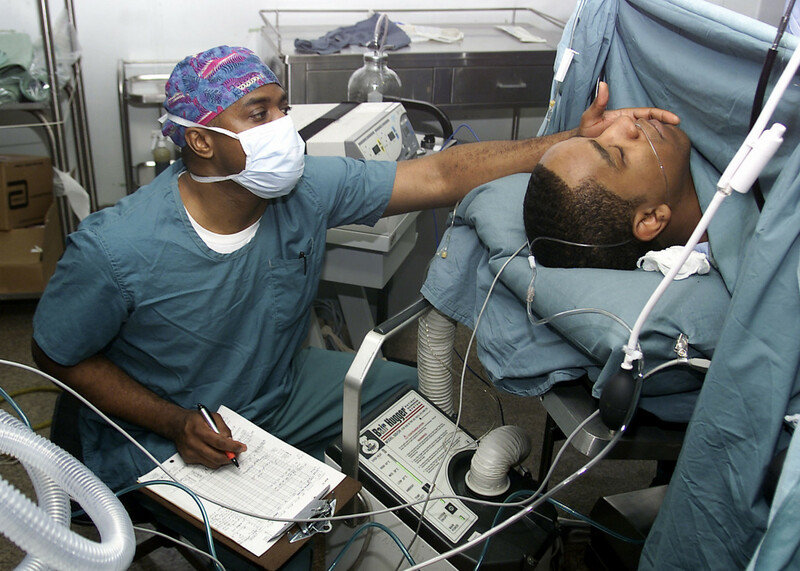 People don't think much about what an anesthesiologist does after they are unconscious. We monitor all vital signs and treat any problems. Sometimes, giving anesthesia is easier than it could be, you make a few adjustments and everything goes fine. Sometimes it's a struggle the whole time to keep patients safe. Those days, I go home feeling like I ran a marathon, then got hit by a truck and dragged a few miles. With our population aging and otherwise becoming more unhealthy, there aren't as many easy days as there used to be. thanks for appreciating the anesthesia info! I am so happy to have found your site! It has always been my belief that in almost any given surgery, the anesthesiologist is the most important member of the surgical team. I have had the opportunity to meet many fine anesthesiologists and whenever a member of my family requires surgery, we have been fortunate enough to be able to choose the doc we want. He has saved my life on more than one occasion! Please continue to teach patients about anesthesia, choices and risks involved. If a patient has a good anesthesiologist, the surgery has a better chance of being successful (just my opinion).